That decorative workhorse of gardens since time immemorial — the water feature, pond scum included — gets a makeover in the Algaegarden, one of the new additions at this year's International Garden Festival at Les Jardins de Métis/Reford Gardens, Quebec. It's a technolicious pergola (or is it an archetypal labyrinth? an espaliered cyborg-plant?) providing a cool respite from our post-millennial angst over peak oil and peak food. They look like window curtains, that would possibly become darker through the summer season and lighter in winter, when there's less sun. The ASLA Professional Awards were announced yesterday, and garnering an honor in the Residential Design category is The Crack Garden, by CMG Landscape Architecture. 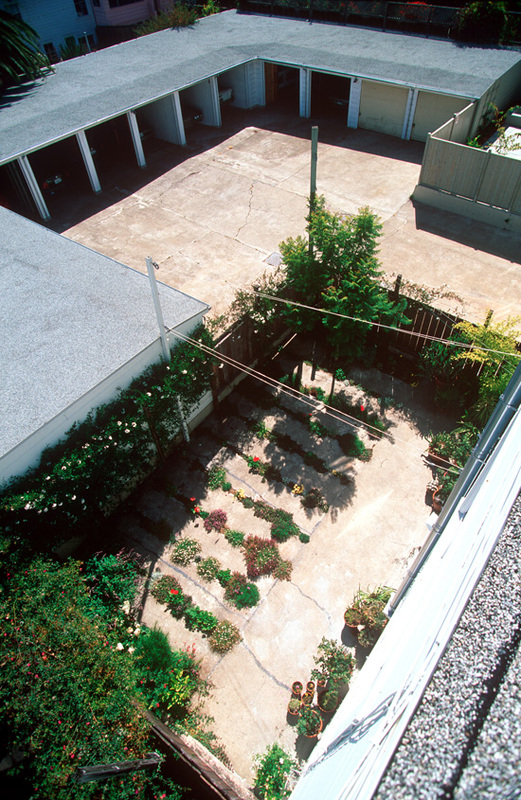 Inspired by the tenacious plants that pioneer the tiny cracks of urban landscapes, a backyard is transformed through hostile takeover of an existing concrete slab by imposing a series of "cracks". The rows of this garden contain a lushly planted mix of herbs, vegetables, flowers, and rogue weeds retained for their aesthetic value. Looking out of place among projects whose budgets seem crass in an age of credit crunch and foreclosure, an impostor in a cabal of slick hyper-modernity and conspicuous designery, The Crack Garden is a refreshing sight. 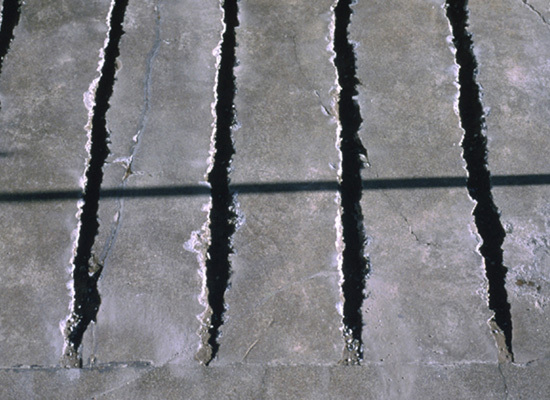 “The Crack Garden is an exploration of the identity of site and the clarity of intervention. Pre-existing places have an inherent identity that is based on their history, materiality, and activities. The design is conceived as an intervention that functions as a lens, altering perception of a place rather than completely remaking it. The intervention can reveal the physical and material qualities of the place, and/or become a catalyst to incite new program activities. 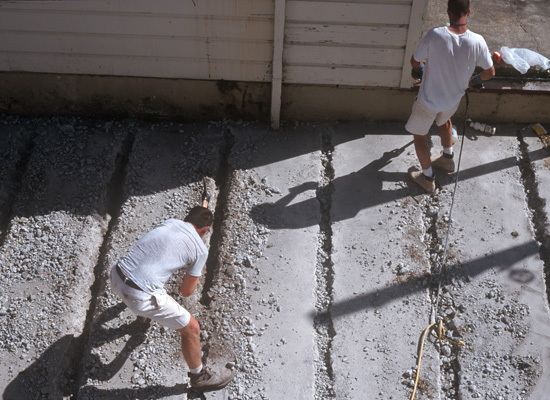 In the case of The Crack Garden, completely remaking the garden was highly unlikely because of the tiny budget. By fully embracing a strategy of design as intervention, the garden relies on its previous identity as much as it does on the changes that were imposed. 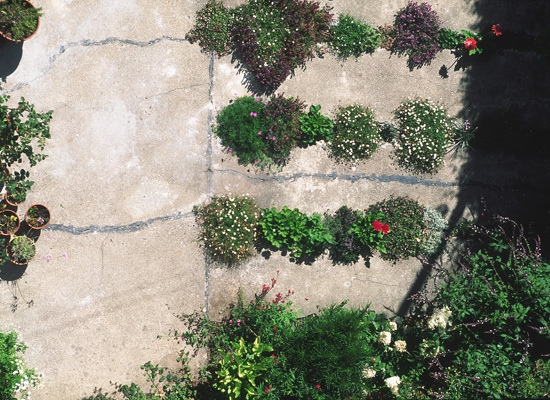 Perhaps inspired by the garden, a crack team of guerrilla gardeners will undertake tactical missions to etch similar tectonic fissures in the parking lots of failed suburban malls and abandoned inner neighborhoods of post-industrial cities. 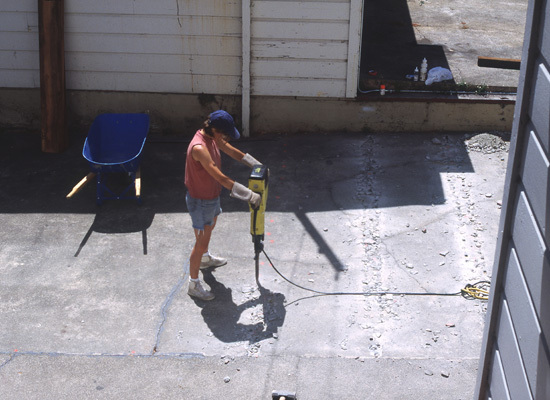 With pneumatic drills or with pick axes and some elbow grease, they'll wound the earth's (un)natural asphalt skin, so that forgotten ecologies may return and hopefully fester. And if they can afford the grotesquely exorbitant registration fees, our gardeners will then submit their covert operations for next year's ASLA Professional Awards. Approche intéressante pour créer un jardin dans une bande bitumée ou un parking ou autre sans toutefois totalement "dégraper" la zone. Il s'agit certes d'autres types de plantes ou de végétation, celles qui s'incrustent dans les fissures, mais cela permet de créer une zone mixte, moitié jardin moitié surface urbaine. Projet intéressant à New York: réaffectation d'une ancienne voie de tram ou métro en jardin et parc paysager. L'intérêt ici est double: à la fois réutiliser une ancienne structure "industrielle" et lui affecter cette nouvelle fonction paysagère. Ainsi, il s'agit d'un jardin assez saisissant, aérien et transversal à la ville tout en étant un objet. A suivre et à parcourir lors de notre prochaine visite à NYC.